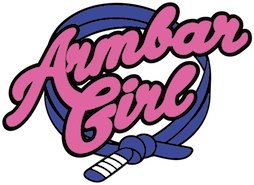 ArmBarGirl.com – Hi! I’m Shadia Bseiso – Dubai based TV Presenter, Live Events Presenter: This is my journey in jiujitsu from white belt to black belt! Just Got 2 Stripes On My Blue Belt!!! Anyone who trains jiujitsu knows exactly how special this is! Today I got 2 stripes on my blue belt!! Thank you professor @radatarikhaubert and thank you to our TND coaches @ramseye4 @max_abrahamyan @rickytandaindianman can’t wait to see you on the mat! Anyone who trains jiujitsu knows exactly how special this is! Today I got 2 stripes on my blue belt!! Thank you professor @radatarikhaubert and thank you to our TND coaches @ramseye4 @max_abrahamyan @rickytandaindianman can't wait to see you on the mat!